ITC is no more producing new versions of PC-TAS CD-ROM. If you are interested in purchasing previous versions of PC-TAS CD-ROM (1994-2014) please use our order form and send it to marketanalysis@intracen.org. ITC will then provide a pro forma invoice. 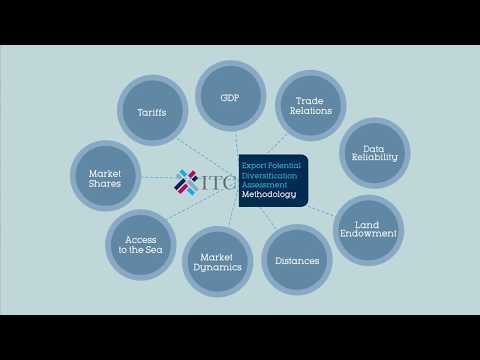 The Personal Computer Trade Analysis System (PC-TAS) of the International Trade Centre (ITC) is a CD-ROM of trade statistics developed specifically for use in market research by enterprises and institutions wanting to analyse international trade flows, select new export markets, assess the export performance of competing countries or identify new sources of supply. It also serves as an aid towards the development of national trade strategies and the monitoring of national trade performance on major world markets. PC-TAS allows the assessment of trends, market shares and the role of competing countries in major markets either through direct reporting or mirror statistics. It covers a variety of topics: What are the leading import markets for a specific product? What are the most dynamic emerging markets? What is the market share of my country? What is the competition in my existing export markets? Which product codes are viewable? PC-TAS is updated yearly and is derived from COMTRADE, the trade database of the United Nations Statistics Division, which covers over 90% of world trade. PC-TAS contains five years of import and export statistics covering 230 countries and territories, broken down into 3,800 Standard International Trade Classification (SITC Revision 3) products viewable at the 1-, 4- or 5-digit level or 5,300 Harmonized System (HS Revision 2) products viewable at the 2- and 6-digit level. A user support from ITC via email marketanalysis@intracen.org. In order to ensure compatibility between the following versions: HS/SITC 2000-04, 99-03, 98-02, 97-01, 96-00 and 95-99, you will need to select 'Standard' installation (i.e. leave the database on CD-ROM) for the first CD-ROM installed. The second or any other subsequent CD can then be viewed by simply inserting the CD into the CD-ROM drive and then by double-clicking on the PC-TAS icon that normally appears after the first installation. Note 2: the following HS and SITC versions may have compatibility problems with newer versions: SITC, 93-97, 94-98 and 95-99, and will need to be installed separately (i.e. you will need to uninstall any other existing version before you are able to install the SITC 93-97, 94-98 and 95-99 versions). CD-ROMs are available at a cost of US$ 90 to developed countries and US$ 45 to developing countries + shipping and handling: US$ 10 by air mail, US$ 50 by express delivery. CD-ROMs are free to least developed countries. SITC: 2008-2012, 2007-2011, 2006-2010, 2005-2009, 2004-2008, 2003-2007, (2002-2006 not available), 2001-2005, 2000-2004, 1999-2003, 1998-2002, 1997-2001, 1996-2000, 1995-1999, 1994-1998, 1993-1997, 2009-2013, 2010-2014.